I think I need to add this to my tbr list. It sounds terrific! I have been ogling this one….I do love this author’s work, and while I’ve read only a handful so far, each one has been so delightful, keeping me engaged throughout. Thanks for sharing! I think you’d like it, Laurel. I’ve been hearing good things about this book. Nice to hear your experience. I keep meaning to read more of her work, but I think up to now, I’ve only read one of her books. I’ve enjoyed the ones I’ve read so far, Kay. Great review! I recently just finished reading The Hurricane Sisters and have been eyeing this title. I’ll be picking this one up next! Thanks, Laurie. I also enjoyed The Last Original Wife. This one sounds like a wonderful read. 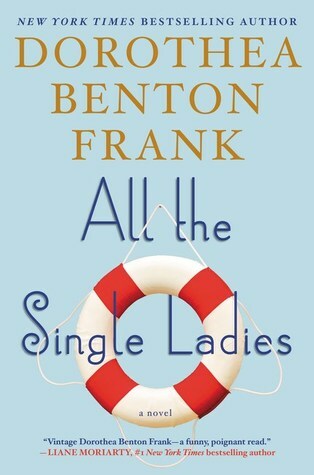 I have never read any of Dorothea Benton Frank’s books…Thanks for a great review and bringing this book to my attention.. I think you’d enjoy it, Kathleen! I love her work too – it’s smart and sassy and her sense of humor shines through. Great review! Thanks, Kathy. She’s definitely one of my favorite authors. I have been trying to get to one of her books and so far have failed! still trying. I hope you get a chance to read one of her books soon, Mystica!